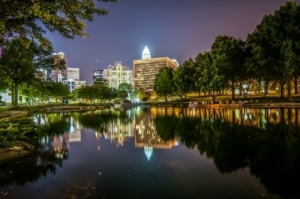 From South End and Myers Park to NODA and Dilworth, we are proud to offer speech therapy services to all of Charlotte. For the families of Charlotte, nothing is more important than helping their children develop the skills for clear communication, and we are proud to provide assistance for those with language, speech, or communication delays or disorders. Our speech therapy program starts with a speech, language, and hearing evaluation to determine your child’s unique needs. We’ll then create a specialized speech therapy plan. We often provide therapy in a setting the child is familiar with such as their school or home, using events and interests that are comfortable and familiar. For more details about how we conduct our speech therapy programs, please read our For Parents page. We are pleased to offer speech-language and hearing screenings for schools, preschools, and daycares in Charlotte. Our licensed speech-language pathologists will come to you on a day you choose to provide early screenings for your students. Parents will receive results shortly after so any interventions that are needed can begin as soon as possible. Read about or sign up for in-school speech-language and hearing screenings here. 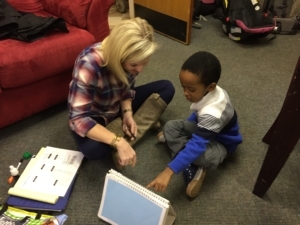 Did you know we can provide speech-language pathologist and SLP-Assistant staff for your Charlotte school? Our fully-equipped therapists will integrate with your school seamlessly to meet your IEP compliance needs with exceptional service and skills. Learn more about SLP staffing here. Providing opportunities for professional development and community education is an ongoing effort for most Charlotte area school districts. We offer customized in-school speech therapy workshops, in-services, and lunch n’ learns to help your staff and parents learn essential information about the developmental milestones of the children. For ideas and scheduling, check out our speech therapy workshops page. If you have questions about any of our Charlotte speech therapy services or are interested in one of the above, please give us a call at your pleasure 704-845-0561. We look forward to hearing from you.